"I have a 14 year old step-daughter, and step-sons who are 10 and 13"
"Ohhhh.... how's having a teenage stepdaughter?" they always respond. Obviously expecting me to report horror stories of dealing with teenage attitude and rebellion. They are always shocked when I say "She's amazing. I honestly am not sure how I would do life without her"
From day one, all my stepchildren have pretty exceptional. But when I say I don't think I could do life without my stepdaughter, I mean that I don't think I could do parenting. Well, maybe that's a little exaggeration. I could manage. But not like I do right now. Many days, she is my rock. When I had my daughter Reese, to say I was overwhelmed would be an understatement. With three kids on a week-on-week-off access schedule and a husband with a demanding career, I didn't get the typical newborn experience. I would hear other new moms say that their days were long... that they just sat there and stared at their babies. I felt like there weren't enough hours in the day. The laundry still piled up, we still had three little people to get out of the house in the morning, lunches and dinners still needed to be made, the kids still needed to be at two different hockey arenas every night... life carried on as usual. We just had a baby. When I look back, no wonder I was overwhelmed. I went from 0 to 4 kids in less than a year. To say I had some culture shock is a huge understatement! That, combined with the fact that I struggled with the "newborn phase" ... well it was hard. But my step-daughter, who is the most caring, nurturing big sister I've ever met, naturally jumped in, offering to help whenever and wherever she could. Not because she felt like she was expected to pick up the slack. Not because we asked. Not because I put my adult problems on her. But because it's her nature. There were days when I felt like I couldn't get ahead. I'd say to myself "just keep swimming, just keep swimming"
Then, like she sensed my internal dialogue, she would swoop in and comfort Reese in a way that calmed us all. Even now, amongst the chaotic nights of extra-curricular activities, dinner, lunches and a busy toddler, I'll hear her say "Hey Reese, come hang out with me"
It's not because she feels like she has to. It's because she wants to. When Reese was born, she was 11. Part of me wondered if her interest in her little sister would last. Three years later, she's a full on teenager. But with her booming social life, a boyfriend with a licence, homework and addiction to snapchat selfies, she's still my right hand-girl, always willing to lend a helping hand. Even when she has her girlfriends over, I'll hear "Come on Reese..." as they head downstairs. It's like she's their little mascot. I always talk about the stereotypes that Stepmoms face, and the assumption that blended families are consumed by turf war drama and children rebelling against their evil-stepmom. That's not always the case. Sure every family has their struggles. Every teenager has some "tude". It's not always "hearts and sparkles". But the assumptions that the "teenage daughter years" are going to be disastrous... or a "nightmare" as many have referred to it, isn't really fair. Many of these teenage girls are absolute pleasures. In our case, she's a Mama Bear in the making! 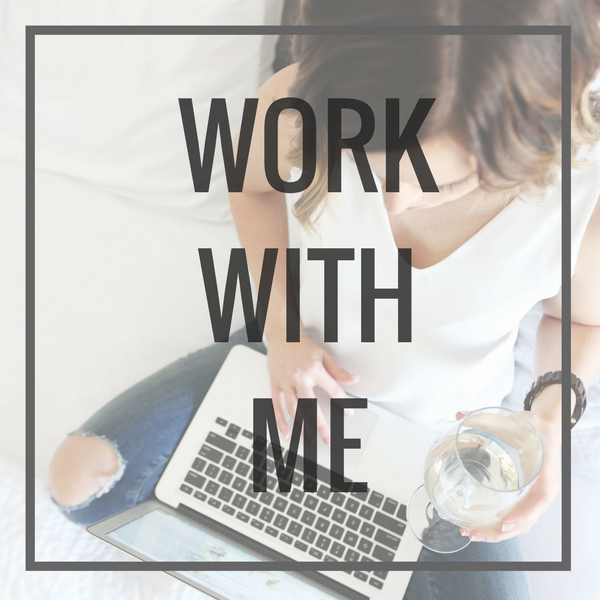 Give me your email address and I'll make sure that you don't miss a thing.... From blog posts, to stepmom tips to exclusive offers you'll always be in the loop! Don't worry. I hate spam more than anyone, so I promise I won't fill up your inbox! Your email address is safe with me!